The BLAKE NEWSLETTER is edited by M. D. Paley, Dept. of English, University of California, Berkeley, Calif. 94720. Subscription price: two dollars for one year (4 issues). Overseas subscribers who wish delivery by air, please add one dollar. Subscribers in Britain may remit in form of open, uncrossed postal money orders. 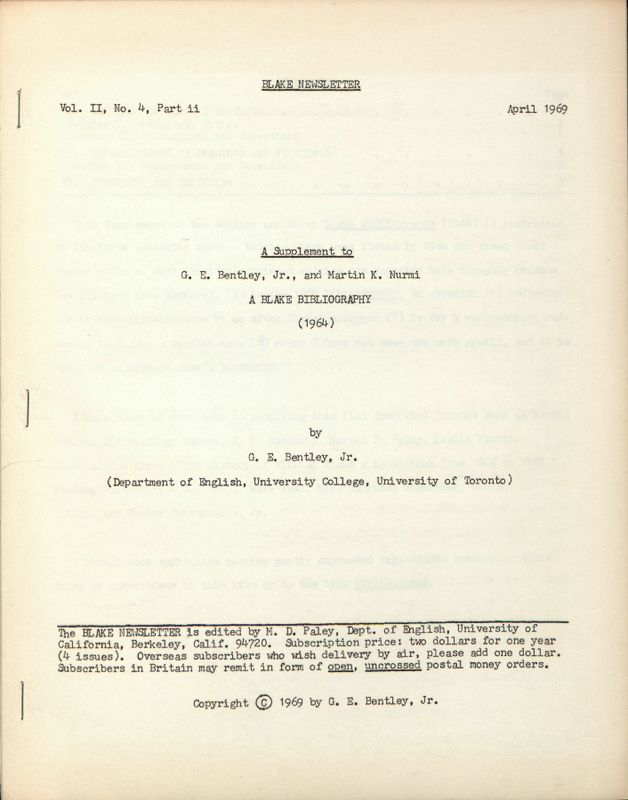 Copyright © 1969 by G. E. Bentley, Jr.